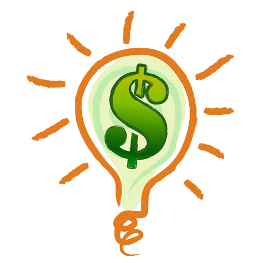 One of the most asked questions in the business is, “how much do solar panels cost”? There are a lot of factors that deliver the answer to this question. 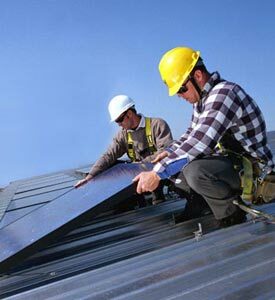 The list of factors include location, size of roof, type of roof, and the type of solar panel. There is not an exact set price on solar panels. The aforementioned factors all help to determine what kind of surface area your panels will have, how efficient they are, and how the panels are installed. That being said, the average cost of solar panels (that’s including the cost of panels and installation) before federal, state, and local rebates is between $10,000 and $20,000. Don’t let the numbers scare you- rebates on the federal, state, and local levels often significantly reduce the cost. Most households will qualify for $0 “out-of-pocket” solar panel installation. In any case a homeowner will be able to pay their solar panels off in just a few years with an outstanding return on investment! Incentives are the best way to reduce solar panel cost for homeowners. As of 2009, the Federal Solar tax Credit allows buyers of solar panels to collect up to 30% of the cost of the solar system. In the past, collections capped at $2000, but now there is no cap. Once combined with state and local rebates, prospects look good for low or no cost solar panels. In order to qualify for this rebate, you will need to owe federal taxes. The rebate lowers the amount of taxes you will have to pay. If you don’t owe taxes this year, the rebate can roll over to the next year when you do owe taxes. State and local solar panel incentives are rather picky. Regions, cities, and sometimes zip codes are the determining factor if someone gets a state or local rebate. Our Solar advisors are up to date on all federal and local rebates and incentives in your area. We are able to fully analyze your home and it’s solar potential. We do all the qualification work for you at absolutely no cost…you have nothing to lose except an ever increasing electricity bill.